Yu Darvish of the Rangers, Joe Nathan of the Tigers, and Hector Olivera of the Dodgers are all down with UCL (ulnar collateral ligament) injuries, and they’re just the tip of the iceberg. UCL injuries and the resulting Tommy John surgeries — so named for the first player to undergo one –are becoming all too common these days, in baseball especially. Even we common folk suffer from the occasional tennis elbow or bursitis. It was only a matter of time until someone came up with a preventative measure for problems like this, which can be expensive in the baseball industry — think $62.5 million – as opposed to relying on rehab or surgery after the damage is already done. Imagine if that compression sleeve did more than squeeze your arm. 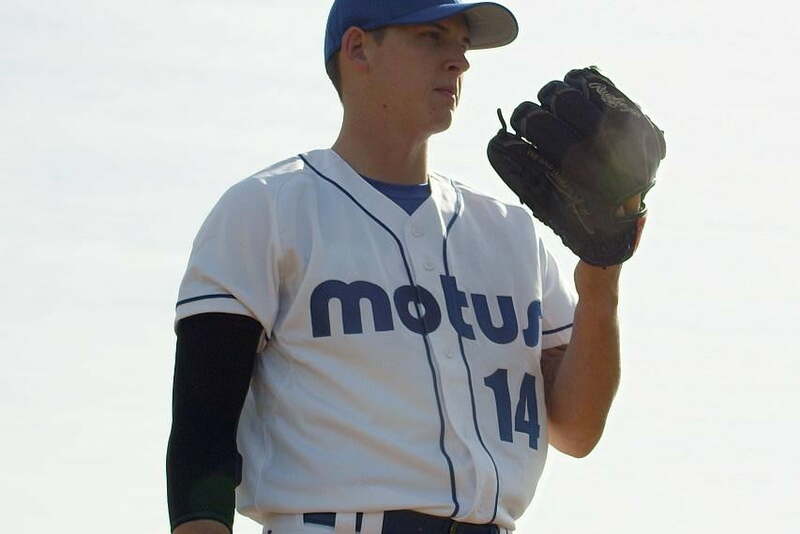 Motus ran thousands of elite athletes through its biomechanics lab and scanned them using a 16-camera motion-capture system, Bertec force plates, and EMG tech, adding their forms to the physics engine, the heart of their proprietary reporting system. Motus Global’s mThrow program works in conjunction with the sleeve sensor module that measures your movement. Athletes could use the lab for this comprehensive analysis, but with the introduction of the sleeve and sensor, their analytics tools are available without 16 cameras. Sitting just above the elbow, the sensor picks up 3D motion with three gyroscopes and three accelerometers and transmits up to 450 throws via Bluetooth from up to 90 feet away. Yes, it reports performance like quite a few other smartwear garments out there, but the difference here is its creators, motion-capture industry veterans Joe Nolan and Keith Robinson, designed mThrow to catch range-of-motion deficits that can determine injury risk along with quantifying performance and potential. Coaches or trainers can see 3D models of the arm’s motion and figure out stats such as torque and arm angle via the iOS app. Signs the pitcher is flagging — slower motion, a drop in arm height, etc. — show up in the app, and coaches can make the call to change up the training regimen or pull the player. Basically, mThrow says, “Hey, you’re doing it wrong; keep on like that and you’ll hurt yourself.” It’s obviously a great tool for anyone in sports medicine and a must-have for major league teams trying to figure out if their pitchers are going to be ready for the 2016 season. 27 Major League teams are already using mThrow. It’s shown some things about what actually stresses the ligament that may change the way pitcher’s warmups are handled: Long toss throws put more stress on the UCL than actual game pitches. Who knew? On top of delivering unparalleled metrics, the product itself is convenient to use. The sensor charges wirelessly on the provided charging pad. The mThrow package with a sleeve and sensor is available for $150, down from $170.